“An hour and twenty minutes. That’s how long it took for me to beat Metal Gear Solid V: Ground Zeroes”. Read the full review to see if Ground Zeroes is worth your time. An hour and twenty minutes. That’s how long it took for me to beat Metal Gear Solid V: Ground Zeroes, with some side activities. No matter who you are or where you are, that’s depressing. That’s really all there is to say about it, so instead of focusing on this major gripe (avoided by myself, who used a Redbox), I will try to review this as I would a game demo or a preview to The Phantom Pain, which is due out in 2015. As a demo, Ground Zeroes succeeds on almost all fronts, giving us the smoothest and most polished Metal Gear experience to date. Despite not having classic Metal Gear tropes such as more tongue-in-cheek humor and classic bosses, the game makes up for it with tactical gameplay and multiple approaches to almost every encounter. 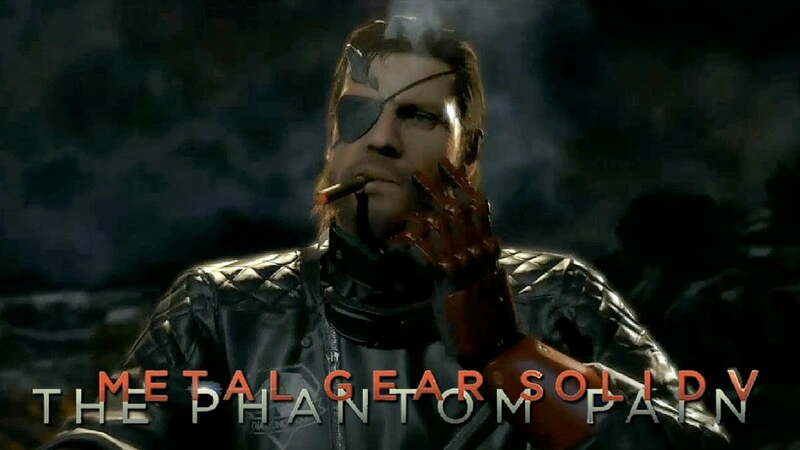 Big Boss moves better than ever, and the oft-maligned control scheme has been streamlined and rectified for a more mainstream audience. Both sneaking and gunplay perform better than ever, and each has its use throughout the open world. And, what an open world it is. Despite previous fears, Kojima Productions has handled the transition to open-world brilliantly. Omega Base gives Snake a decent-sized playground with numerous side missions suited for different play styles. 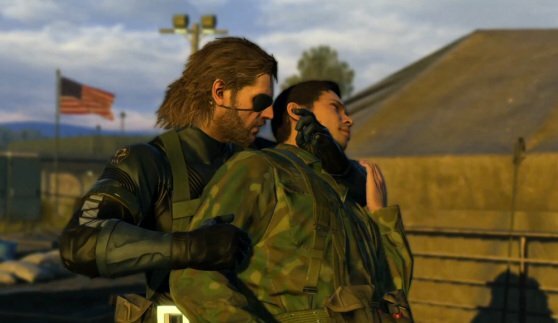 Some side missions require Snake to sneak around, while others require a more gun-blazing approach. Despite the streamlining, stealth remains the series’ greatest strength, having a more visceral, intense impact. Behold, Hideo Kojima preying on the unaware consumer. The shooting, although cathartic, felt stale too quickly, which could prove hugely negative should The Phantom Pain choose to go that way. The game attempts to try new shooting mechanics such as a slow-motion mode called ‘reflex’ and regenerating health. However, in a game such as this, regenerating health feels like a major step backwards. One of the most intriguing things about MGS in the past was how you had to ration your resources. Going through a building with little health left and deciding whether or not to use your last ration was almost as tense as the game itself, and it’s sad to see that vanish in the new game. But, as far as the stealth goes, it’s wonderful. The game gives you plentiful gadgetry such as the iDroid, which helps store map and mission information, and binoculars, which let you tag enemies to keep tabs on their locations like in Far Cry 3. These perks prove invaluable in the game’s many scenarios, as even navigating the open-world can be a merciless game of hide-and-seek. The open world does provide some lovely, cathartic takedowns such as wiping out an entire small regiment to progress. It’s these moments where the potential for the open-world really shines. Pictured here: An Actual Game. Unfortunately, this game provides very little in the way of story, and Big Boss’ relationship with Paz from Peace Walker never felt as authentic. However, the direction the story turns at the end, namely the revelation of who Big Boss is searching for, all hit home, and I cannot wait to see this story begin. Kiefer Sutherland proves a powerful, though not quite as authentic, voice for Big Boss, and the rest of the voice work is typical Metal Gear. It’s not quite great, but it’s campy enough to sell it. The music, as always, shines above the rest of the game, giving every moment a dramatic and weighty feel behind it. Visuals are gorgeous on both the PS4 and Xbox One; though, on last-gen systems, they still shine above everything else. Metal Gear games have always been beautiful, and this one is absolutely no exception. Now if only it wasn’t thirty dollars. Metal Gear Solid: Ground Zeroes proves to be an exciting look into next-gen gaming. If Phantom Pain can live up to the promise, we may have one of the greatest games in the franchise on our hands. However, thirty dollars is way too much to ask for a game like this, so try to rent it from a Redbox, and should that fail, wait for a price drop or for Phantom Pain. Elijah Diamond lives in the city of San Francisco, California. He started playing video games when he was two and never stopped, much to his parents dismay. On weeknights, he can be found smiling creepily right behind you.